After passage, four government agencies including OSHAH, USCG, NIOSH and the EPA collaborated on writing the rules and regulations to deal with safety and training issues for companies and workers dealing with hazardous substances or who might potentially be exposed to them. The results of their work came to be known as Hazardous Waste Operations and Emergency Response, or HAZWOPER. Is your head spinning yet? Some of the above workers are also required to receive 8 hours of refresher training each year. 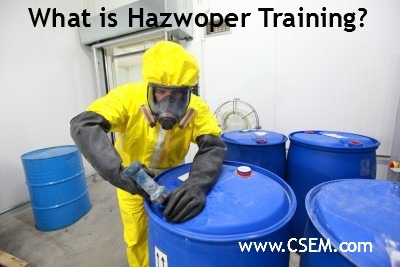 If all of this looks like one big headache to you, do yourself a favor and find an experienced company that delivers a full suite of HAZWOPER training courses. That way you’ll know you’re getting the training you need.